Kuantan, the capital of Malaysia’s Pahang state, is an east coast port city lying halfway between Kota Bharu and Singapore, on the Kuantan River estuary. 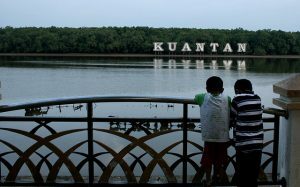 Once a small, little-known fishing village, Kuantan is fast becoming known as a desirable tourist destination, thanks to its beaches, eateries and historic sites. With a rich and diverse culture, Kuantan is an essential stop off for culture vultures everywhere. 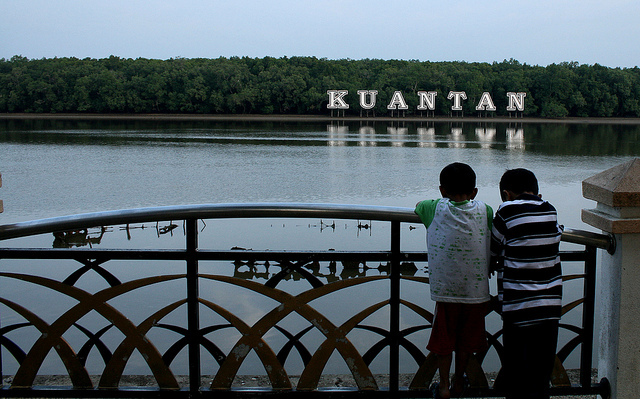 Here’s my Kuantan travel guide that alludes to some of the top cultural essentials. Situated in the heart of the city is the Sultan Ahmad Shah Mosque. Built in the Ottoman-Moorish style, the mosque was only opened in 1994, but has fast become a focal point for visitors to the city, thanks to its magnificent architecture. The mosque’s interior surfaces and exterior façade are lined with geometric patterns, with the colour-scheme consisting of light blue and delicate yellows, set against the dramatic white marble. Established in 1928, this colourful and intricately decorated Hindu temple is well-worth a visit, if only for the elephants and tiger carvings that adorn the outside and the carved and painted Hindu gods found inside. You’re unlikely to have ever seen a place of worship like this before, or ever again. Entry to this temple begins through the tail of a 2,700-foot Golden Dragon sculpture (the longest in the world) and sees you emerging through its mouth, out into a prehistoric landscape, of sorts, with various life-sized dinosaur statues (including a T-Rex!). The Buddhist temple in Kuantan is a popular tourist attraction. The temple itself is architecturally appealing, but many come for the large lake situated on the grounds of the temple, which is filled with always-hungry fish and turtles who will happily demolish anything you feed to them. 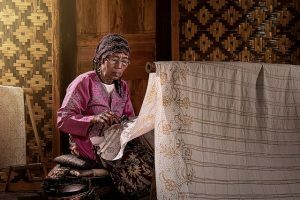 Batik, the art of using wax to print designs onto textile, is an integral part of Malaysian culture. At the Natural Batik Village, you can have a go at this art form for yourself. Here, they’ll teach you the techniques involved in creating coloured designs with dyes and wax, before letting you create your own batik design t-shirt to take away with you. You would expect a port city to be pretty good at seafood dishes, but all your seafood expectations will be met and then exceeded at this seafood restaurant in Kuantan. They serve garoupa, stingrays, crabs, squid, clams and much more besides. Make sure you try their ikan bakar pari. The locals swear by the curry mee served at Restoran Hoi Yin. Apparently, it’s the best in town – and who are we to argue? So make sure you stop by this unimposing little restaurant and try this aromatic curry dish – just be sure to get there early, to avoid disappointment. The unofficial dish of Pahang State is ikan patin gulai tempoyak and you really can’t leave Kuantan without trying it. Made with silver catfish caught from the Pahang River, which is cooked in a fermented durian stew, nothing represents Kuantan and Pahang State better than this local delicacy. Several restaurants in the city serve ikan patin gulai tempoyak, but I’d recommend Akob Patin House – it’s pretty good here and the staff are extremely friendly. After you’ve stuffed yourself to bursting, take a walk down to Kemaman Kopitiam, located in the Sri Dagangan Business Centre. To experience some of the ‘cool kid’ culture in Kuantan, this café/restaurant is definitely the place to be. Be sure to try the Kopi Ais (iced coffee with condensed milk) when you’re there. If you’ve enjoyed exploring the culture and cuisine of Kuantan, consider looking into the delicacies of wider Malaysia, where street food, curries and culture await.